SCAR has had bank account balances attracting no interest in recent years. As there is ample protection for working capital and reserve purposes, SCAR believes that it is prudent and responsible to invest a proportion of these balances in a diversified portfolio of investments. With this investment policy SCAR aims to provide capital growth to enable it to fulfil its mission and objectives. 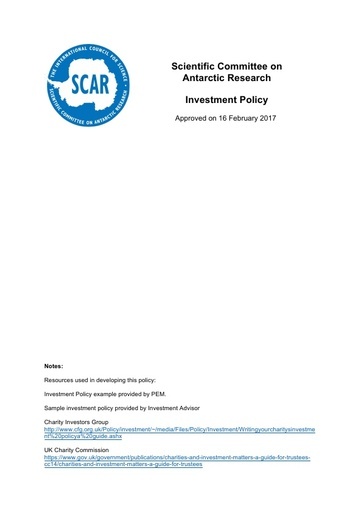 In the longer term it is intended to draw income from these investments to support SCAR activities.